Dr Atkins must be turning over in his grave. Researchers from Canada and the United States have taken his diet and—yikes!—veganized it. Their findings were published in the June 8, 2009 issue of the Archives of Internal Medicine. Everyone knows about the infamous Atkins Diet, of course. It promised weight loss to anyone who severely restricted carbohydrate intake and filled her plate with fatty meats. For whatever reasons—and the possible explanations are hotly debated among nutritionists—the diet works for weight loss. But there are some obvious problems with the Atkins approach. First of all, while weight loss almost always results in lower LDL cholesterol (the bad cholesterol), that doesn’t happen on the Atkins plan. In fact, not surprisingly, cholesterol often goes up. High meat intake is also linked to digestive tract cancers. And then there is the matter of ethics and responsibility; who wants to be eating a diet that destroys the environment and promotes animal suffering? But what if you replaced all the animal fat and protein in the diet with plant sources of those nutrients? Clearly it would produce a more healthful and responsible version of the Atkins Diet. But would it reap the same weight loss benefits without all the pitfalls? That’s what the researchers who developed the “Eco-Atkins” diet aimed to find out. 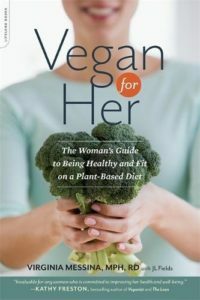 They designed a 100% vegan diet that was high in protein (31% of calories) and fat (43% of calories).The protein was derived from gluten, soy, vegetables, nuts and cereals. Fat came mostly from nuts, vegetable oils and soy products. Twenty-two subjects followed the diet for four weeks and had a weight loss that was similar to what people achieve on the Atkins Diet. But the advantage of the plant-based regimen was obvious since they also experienced a drop in LDL-cholesterol while maintaining levels of the good (HDL) cholesterol. Another group in this study followed a carbohydrate-rich lacto-ovo vegetarian diet that was moderate in both protein and fat. They, too, lost weight and had lower LDL cholesterol levels at the end of the study period. But their ratio of total cholesterol to HDL cholesterol wasn’t quite as good as in the Eco-Atkins group. That may be due to the generous amounts of nuts, soyfoods and unsaturated fat in the higher protein diet; all three of those have been shown to have a beneficial effect on the ratio of good to bad cholesterol. Those eating the Eco-Atkins diet also rated their diet as more satiating compared to the people eating the high-carb diet. But the higher protein diet was also higher in fiber, and both protein and fiber have satiating effects. I have long been an advocate of boosting plant protein intake for weight loss and also of including higher fat foods in diets to reduce heart disease risk. There is lots of research to support both. The Eco-Atkins Diet is certainly a very extreme version of those recommendations and it’s not one I’m rushing to recommend. In any case, the study was just four weeks long and included only 44 subjects. Even so, there are some interesting take home messages here. The findings support the fact that, for weight loss, it doesn’t matter where your calories come from. Second, it supports other earlier findings that replacing some carbohydrate with plant fat can be better for reducing heart disease risk. And finally, whatever advantages there may be to eating more protein, it is clearly better to get that protein from plant foods. Plant protein can do anything that animal protein can do. And, in this case, plant protein did it better. Sigh. This is so annoying. How is it annoying? 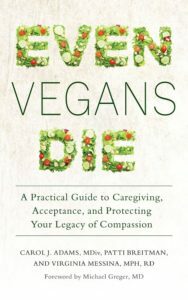 Why do we become vegans in the first place? To see a diet that is predominately animal-product based open its doors and offer a vegetarian/vegan version shows how far we have come and that more people are adopting a plant-based diet. This should not be annoying, but refreshing to see! Woah. 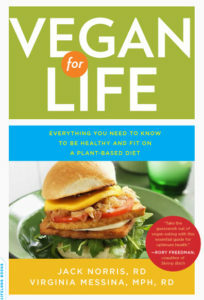 A vegan atkin's diet? I guess that's better than a traditional Atkin's diet. "Everyone knows about the infamous Atkins Diet, of course. It promised weight loss to anyone who severely restricted carbohydrate intake and filled her plate with fatty meats." uhh, have you ever read the Atkins book or examined the diet beyond what you're 'heard' from people? The first phase of Atkins, Induction, restricts to 20g net carbs. So yeah, it’s hella restriction. Very interesting post! Thanks for this news and your comments. I think we are going to see increasing public debate about the tradeoffs of carbcentric eating and available alternatives. The carbohydrate-insulin-fat storage linkage seems well established at this point. At the same time, conventional protein-oriented food chains are horrific (factory farming, anyone?) and the long-term consequences of ingesting hormone-laden flesh will eventually become clearer – and surely won't be pretty. Finding ways to negotiate such disparate avenues is no joke and is definitely not fringe territory. May be annoying, EC, but its reality. I would love for there to be more research on the endocrine effects of a high soy diet, especially processed soy. I am a dietetics student who has been transitioning vegan for the past year and I noticed a significant increase in acne during this process when I started using a lot more soy milk and other soy products. I don't know the methods, whether the phytoestrogens in soy bind to estrogen receptors, leading to increased androgen dominance or whether increased phytoestrogens themselves can cause acne, but I eliminated all soy as a test. It has been 1 1/2 months and my skin has cleared considerably. I know peoples bodies are different, but it has made me want to incorporate more of a precautionary principle with soy. I just don't think we have enough research on its endocrine effects. Soy is a powerful industry in the US and so I have my doubts that the soybean lobby would green light any major domestic research that could slow down soybean consumption in the vegetarian market. Julia, that's great that you are a dietetics student transitioning to veganism–we need all the vegan dietitians we can get! There have been many studies on the endocrine effects of soy and on health effects of soy in general. There are around 2,000 papers published in the peer-reviewed literature every year, so it's definitely not true that the soy industry is blocking research. At any rate, the bulk of the soy industry is aimed at supporting animal agriculture, so they wouldn't be too interested in health effects of soy. What the research shows is that soy isoflavones are SERMS–selective estrogen receptor modulators–meaning that they have different effects in different tissues. It's very different from estrogen in that regard. I've never seen anything showing that soy affects acne, but it is definitely being looked at as a means of slowing skin aging. Some skin products have soy extracts added to them for that purpose (Aveeno, I think?). It will be interesting to see what happens with that area of research. With the soy, I believe that it is important to choose non-GMO items. GMO foods have been linked with fertility problems in animals and worse. I would be interested in finding out more about the Eco-Atkins plan. Can you provide any resources? With soy, it is best to limit it and have it from natural/whole sources such as edamame, tofu, and tempeh…with soy milk, in moderation, if desired. Read your Ingredient Statements when buying soymilk to get the least processed. I know when I first went vegan as a dietetic student myself, I overdid the amount of soy I ate because of fear that I was not getting enough protein. I ate a lot of processed foods, such as soy burgers and soy-mayo, etc. Now I concentrate on things such as beans and nuts, and I feel I eat a lot healthier. Also, veggies themselves have a small amount of protein in them. has worked for me so now that I am vegan I decided to try it without meat. I do not measure carbs … I just eat veggies right away when I am hungry and sometimes I will cut into cubes a “Veggie Burger” or Tofu over salad. To be clear … I am NOT over doing it on protein. As most of you know, you only need 5% of protein intake and I honestly believe that protein has NOTHING to do with the weight loss. In my particular case I am just eating some Tofu / Veggie Burgers (Boca). I think the key is to limit carbs (sugar, starches) to less than 24 grams per day. Again, I do not think a higher protein intake has anything to do with this. Richard, can you tell us more about what you eat? I would like to do a vegan version of Atkins. Thanks so much! I thought Boca Burgers were vegan, but they aren’t. Unless they make a version that I have not found in the stores. I’d love to know more about what you eat, it sounds amazing. Just about everyone I’ve talked to who has stuck to the Atkins diet both lost weight and lowered their LDL cholesterol significantly. Very interesting. I am a vegan currently doing the pH Miracle diet and lifestyle (Dr Robert Young) which, it turns out, has a lot of similarities to this kind of program. It is a low-protein AND low-carb program that emphasises vegetables (especially greens), good fats (avocado / raw monounsaturated and omega-3 oils / nuts / seeds), low-sugar fruits (lemons limes grapefruit) as well as certain healthy grains (buckwheat millet quinoa). A vegan diet, with protein 31% of calories? That’s impressive – I’d be interested to see a sample meal plan from this project. 1. Triglycerides go down. Typically by 50% or so. 2. HDL goes up 10%-15%. 3. Both SBP & DBP go down. 4. LDL may increase, decrease or stay the same. But in any case the size of the LDL particles goes up, while density goes down. No other diet or drug therapy can reliably match #1 & #2. And the resultant change in the LDL size/density spectrum far outweighs any change in the LDL number. Similar improvements are seen in Eco-Atkins. Limited data suggests it to be as good as the original, non-vegetarian Atkins. BTW, Atkins has never been the diet portrayed by the media as being bacon & eggs all day. Vegetables have always been an important part of the diet. But even most RD’s seem to have bought into that stereotype, without actually doing proper research. The Vegan RD needs to do some continuing education. I realize this comment was left a long time ago, but I had to respond and say thank you, Mr. Bergman. It’s a shame the Vegan RD never responded. I’m a vegan and appreciate much of the information on your website. Do you happen to have the citation of the study for the following that you wrote? But there are some obvious problems with the Atkins approach. First of all, while weight loss almost always results in lower LDL cholesterol (the bad cholesterol), that doesn’t happen on the Atkins plan. In fact, not surprisingly, cholesterol often goes up. High meat intake is also linked to digestive tract cancers. Not all LDL cholesterol is bad cholesterol — only the smaller denser particles, which have been identified to appear due to intake of fructose (including sucrose) and to a lesser account starches. Larger LDL-particles come from eating fat and are not likely to form plaque in blood vessels. As to the cancer there is evidence that cancer cells cant survive in ketogenic state, because they need glucose to survive, as opposed to healthy tissues, which can oxidize fat and metabolize ketones. I’m just experimenting with the Atkins diet. Just started. Phase one Induction limits you to 20 gms net carbs for omnivores. No bread, rice, legumes, grains, sugar, dairy, nuts, no juice, no fruit. Vegetarians start Atkins at Phase 2 where some dairy and nuts are allowed in the ongoing weightloss (OWL) phase (30-35 gms of net carbs a day). 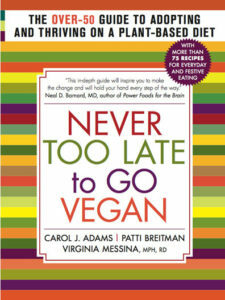 The book I’m reading, The New Atkins for a New You, has meal plans for vegetarians and vegans. Vegans start in Phase 2 with 50 gms of net carbs. There is a lot of tofu, seitan, tempeh in that menu. If after one week at 50 gms a day, you are losing weight but not craving carbs, you can add 5 gms of net carbs. Apparently you can keep adding 5 gms of net carbs a week IF you are shedding weight and not craving carbs until you are 10lbs away from your goal. If you start craving carbs, you have to cut back in net carbs. Berries are allowed other fruits are not allowed until maintenance. I’m not a vegan; I eat eggs and dairy. (Breakfast: 4 oz. tofu scrambled eggs (2 gms), 1 small tomato (2.5), 1/2 hass avocado (2), 1 tbsp. grated vegan “parmesan cheese” (0 gms). Subtotal: 6.5 net grams of carbs. Lunch 2 slices vegan deli turkey (and 1 slice vegan swiss cheese (6) with 1/4 c of Basil Pesto (1 net carb), 1 low-carb pita (4 net carbs), 2 cups mixed salad greens (1 carb), 5 black olives (.5 net carbs), 2 tbsp Italian dressing (their recipe). 19.5 net carbs total. Snack 2 oz. of hazelnuts (1 net carb), 6 radishes.5 net carbs. Dinner: 4 pieces of sauteed seitan (6), 1/2 cub steamed string beans (3), 1/2 cup mashed pumpkin(5), 2 cups mixed salad greens (1), 6 radishes (.5), 1/4 cup edamame (3), 2 tbsp of Russian dressing (their recipe) (0 net carbs) 20.5 net carbs sub total. I realize you wrote this post 6 years ago, but I am now finally starting to realize that the reason I couldn’t stick very well to a vegan diet was because of all the carbs I was eating, and I’m not just talking junk carbs, I’m talking “healthy” carbs (brown rice). I found this out quite by accident. 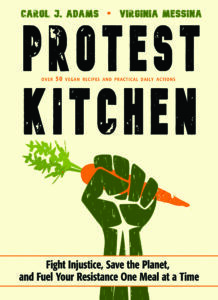 I went on the 5:2 fasting diet (2 Day Diet by Michelle Harvie). For two consecutive days a week you eat low calorie, low carb high protein, and then eat normally the remaining five days. I did this vegan. I found that those two days really seemed to normalize my insulin levels, so that I didn’t do any freak-out eating on the other five days. So now I still do 5:2 to lose weight, but I am also carb mindful on the remaining five days. No I really can’t call myself a low carb vegan, and yeah, there are the days I eat my french fries, but all in all, nowhere the way I used to eat before. Thank you so much for posting this article. I might add I was never so sick and felt so badly as I was when I went on the McDougall, Forks Over Knives type plans. Fats are satiating! They help me feel well! Please continue writing books! Hey, maybe the next one on how to follow a lower carb type vegan diet? IT WOULD SELL! Thank you for your article! I’m a vegan, but find it unsatisfying at times and am hoping by upping my protein or fat I can find it more satisfying. I think the findings show the opposite is true. For weight loss, it matters very much where your calories come from. Anyone who can say those quick accusations against Dr. Robert Atkins has never read his works, research or Books. A breakthrough researcher.who help a countless number of people free themselves from obesity and the diseases related to being over weight.